Indeed, the CEO of Domino’s has consistently sighted it’s rapid adoption of new technology as the key to its year on year growth at events for it’s investors. As they do this, customer expectation around ordering continues to evolve to where online ordering is the norm and ordering over the phone is antiquated. I suspect most independent pizza businesses understand that ordering online is the future but they also know that it’s cost prohibitive. While the prospect of having customers ordering online leaves more questions to be answered that often go beyond just hiring a business to make a suitable website. But in this blog post, I’m going to prove that having an effective online ordering system is not only possible but it’s also affordable. Beyond meeting the growing demand for online ordering, there are additional benefits. Online ordering allows independent pizza businesses to provide a more consistent customer experience, operate more efficiently and scale better. This is because unlike a human, an online ordering system never makes mistakes, can handle 100s of orders at once and always provides a consistently perfect experience to customers while always remembering to up-sell. An online ordering system is effectively your hardest working employee. The first challenge to overcome when having an online ordering system made for a pizza business is overcoming the complexity of orders. In fact, its this complexity that greatly prohibits pizza businesses from even having their full menu on 3rd party ordering websites like Menulog & Herodelivery, and that’s before revenue share eats into profit margins. But there is a solution, and that is using an out of the box food ordering system that is specifically designed for selling pizza online. In using an out of the box solution as the base of a pizza business’s new online ordering system, the cost of development is reduced dramatically, while at the same time freeing up resources to tailor the experience to your business’s customers and processes. Warming up to going to digital is often a priority for independent pizza businesses as they often have a risk adversity to technological adoption. So developing a plan or path to offering ordering online is essential. The first step is to protect their digital brand by registering domain names (website addresses) relevant to their business name i.e. apizzaplace.com.au. Beyond brand protection, this is an important step that can yield significant savings if done months in advance. This is because it allows marketing materials, car fleets and street signage to be organically updated over an extended period of time to incorporate the website’s address, rather than overhauling them all at once or stagnating customer adoption of the online system by retaining marketing materials that don’t refer to it. Between registering the website address for the intended website and ordering system and actually launching it, the website address can simply be forwarded to Facebook or Menulog for example. This in itself can create meaningful value from the outset as it shortens the URL/website address that might otherwise have to be read out to customers to refer them to a menu over the phone. For example, www.facebook.com/apizzabusiness becomes www.apizzabusiness.com. 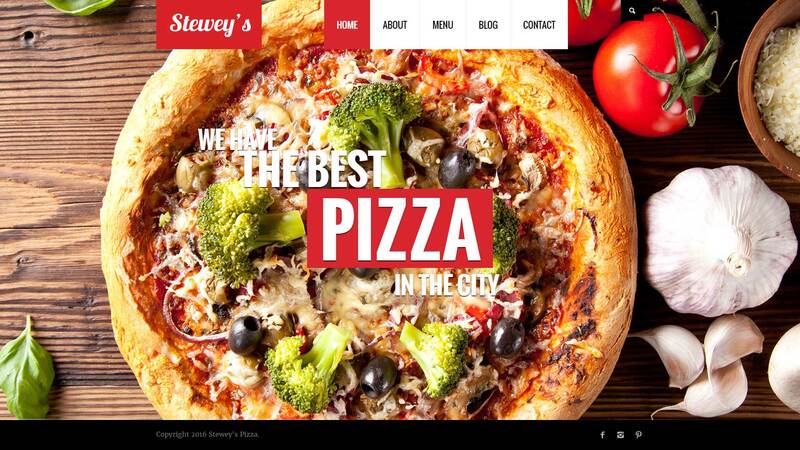 Beyond simply arranging to have a website made, the prospect of creating all the content for it can be daunting, particularly when directly comparing the content of larger chains like Dominos and Pizzahut. However, smaller pizza businesses like Tasmanian based Pizzarazzi show how images for each product, for example, is not a requirement for success. For businesses looking to go the extra mile professional photography is always an option but it can drive the cost of creating the website up by 30-50%. An additional option is to go about taking the images yourself, but for effective images to be taken, factors like overhead lighting and camera lenses have to be taken into consideration. In almost all cities its possible to rent a suitable camera on a day to day basis. The next step is to arrange hosting and create a landing page. This is simply a basic one-page website that provides basic information like contact information, menu, store location, and promotions. Note that this step can be skipped but its a great way to start experiencing some of the benefits of a complete website with minimal capital outlay. The next step is to create a complete website built on a Content Managment System (CMS) like WordPress. 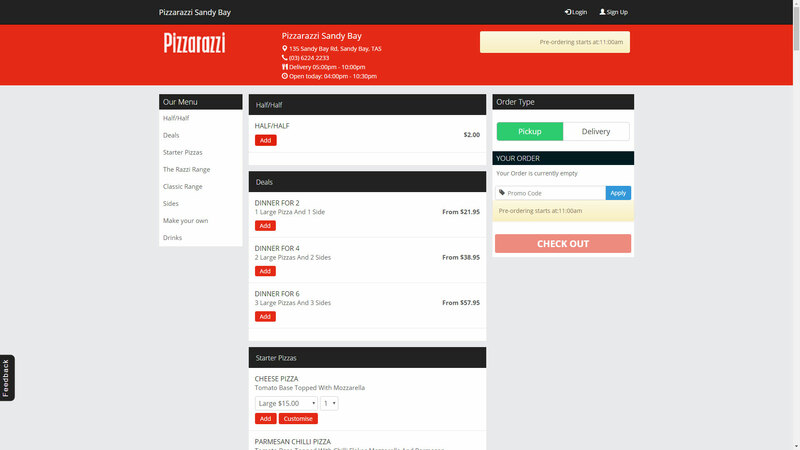 This provides customers with a complete multi-page experience and provides the foundation for the online ordering system. While the multi-page experience allows for dedicated pages for things like careers, catering and frequently asked questions for example. An example of a possible full website design showing the homepage, the business is fictional and this design is available for use – image compression may impact the sharpness of the screenshot. This is often the area of the biggest concern for owners and it can also be the area where the owness often falls back to staff in the store to adopt the necessary changes. When it comes to receiving the orders from in store, they can be received via text message but this doesn’t work very well when a large volume of orders is involved. Instead, orders are best managed either in print out form or being displayed on a screen. The option of having orders printed out automatically has the benefit of having the least amount of impact on staff because these orders can be added in with in-store and over the phone orders. But the benefits of managing orders via a screen can be significant for both customers and staff productivity. This is because customers benefit from receiving order updates either via email or text without staff input. While staff benefit from being able to see all orders and their age alongside the average order time for each order type can also be displayed based on the last 30 days. With a website already in place, the online ordering system can be directly integrated into it to create a seamless experience for customers. Once live, customers can order either on a mobile device or on a PC, and pay online using PayPal or Stripe. The latter option reduces the transaction cost of an order when compared with PayPal while still allowing customers to seamlessly pay via debit or credit card. Staff in a store can update product information like availability, pricing, and descriptions, greatly reducing the cost of maintaining the online ordering system over it’s lifetime.